Tomorrow is national Day here in Luxembourg. Festivities start tonight with music,party and fireworks. Most of the people gather in Luxembourg City . 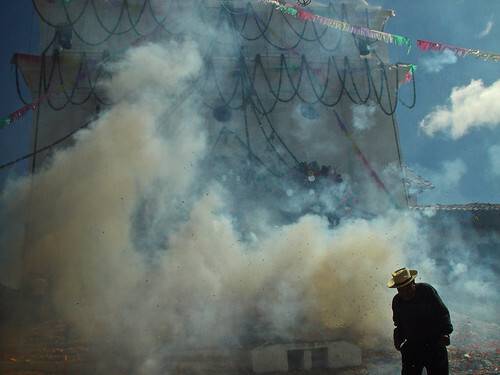 This is NOT Luxembourg, but fireworks in Chichicastenango, Guatemala during a one week’s festivities. It’s a shame you can’t hear the noise out of this picture.